On the 18th of July it was the late Nelson Mandela’s birthday, which as the whole world knows, is considered Nelson Mandela Day. The main initiative of this day is spending 67 minutes or more doing good for those around you and those in need, in honour of Nelson Mandela and all the great things HE did to help free his people, and make South Africa a better place. 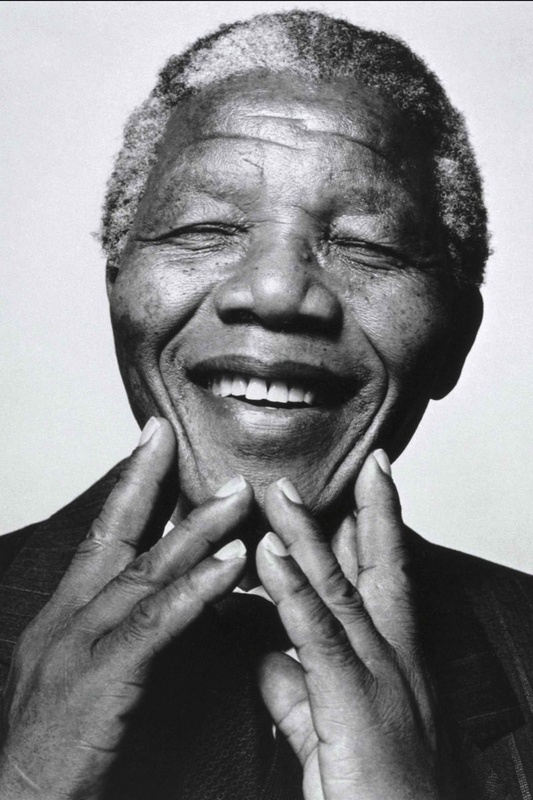 Nelson Mandela will never be forgotten, he truly was a human being with a heart of gold. We should all aspire to do great things for others out of the joy it brings rather than the benefits. FrontSeat Group was quick to make sure the day was fulfilled in the best way possible, for our country, our company and most of all, for Madiba!! This day represented a chance for us to make a difference for people who we feel needed it the most. 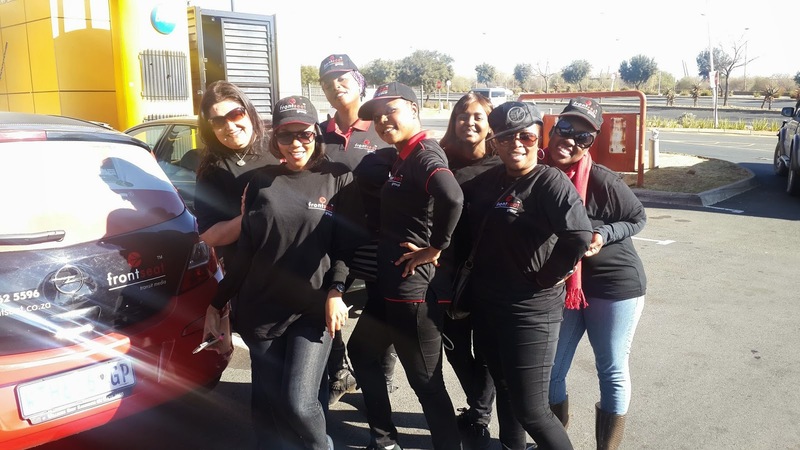 Our team was super excited and ready in all black FrontSeat gear, big smiles all round and loads of energy. 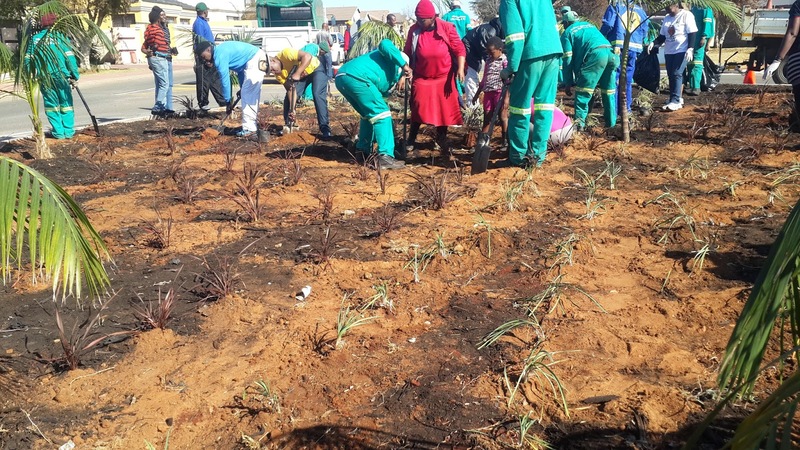 We started off in a small neighbourhood called Ormonde View, where the community had recently had the opportunity of having a traffic circle created for their convenience. The circle was no ordinary brick and mortar kind, instead it had rich soil ground work, ready to be graced with plenty of lush flora, for the community to see and enjoy upon passing by the area. The FrontSeat Crew came to the rescue!! All our staff members got down to their knees to plant all types of plants that would later bloom and make the traffic circle look amazing. We were not afraid to get dirty if it meant working for a greater cause. The smiles, joking and laughter across the circle was booming with love and heart felt dedication. A few of the children who lived around the neighbourhood also felt like lending a hand. The more the merrier!! After a while we started to notice a pattern as well as some progress. It may not look like much now, but these babies are gonna be super huge in the next 3 months. Soon the entire traffic circle was complete, not a spot was left out.We were tired and sweaty, but it was all worth it. We were told we could come back in a few months and view the progress of the plantation. I will be sure to post pictures on that soon! The day didn’t end there, we continued on to a small kindergarten called Noddy Pre-school , situated within the same area from the traffic circle, and felt we needed to do something for the population that matters the most- THE KIDS!! While the children enjoyed a little reading and playtime as well as lunch indoors, we got to work in painting all their swings throughout the play area, to look new again!! It was colourful, sticky and messy fun!! A soda break towards the end was much appreciated by the staff who had been busy all day, making a change as little as it may seem, with a major difference in the end. It really pays to do good for others before yourself, it’s even better when you have an amazing team! !